While a carport my seem like a very basic shelter when comparing its function and structure to that of a garage plan designed for the same purpose, protecting automobiles from the elements, it is important to note there is still much to consider before choosing a carport plan. 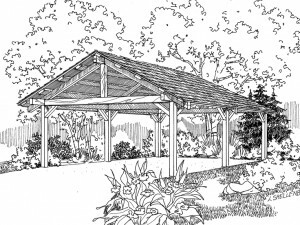 The Garage Plan Shop has provided a list of tips to consider before selecting a carport design to add to your property. 1. Determine if you want the carport connected to the home or situated right beside it. 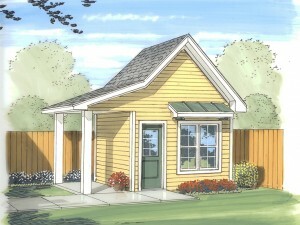 Do you prefer it to be a free-standing shelter positioned some other place in your backyard or on your property? 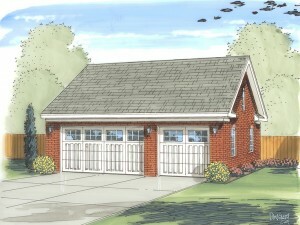 Some carport plans provide an option to connect the sheltered parking area to the home via a convenient breezeway. 2. Consider the available space you have to work with on your property and what size carport you can accommodate. 3. Think about how many vehicles you wish to park under the carport or what other items you might wish to shelter such as a boat and trailer, firewood, etc. 4. Take some time to measure the vehicles you want to park under the carport or items you wish to store. Add extra space on all sides to allow for opening of car doors, hoods, trunks, tailgates, etc. Also allow room for walking between vehicles if you plan to park more than one under the carport. 5. Do you have additional needs? Should your carport plan offer a storage space? Should it be a drive-thru carport? How many sides of the shelter must remain open? Determine ahead of time all the ways you plan to use the carport. Some designs offer storage closets, four open sides, two open sides, etc. It is important what extra elements you need or must have with your new carport. 6. Browse carport plans online to find a design that will accommodate your needs. While you may be focused on finding a design that matches the style of your home, concentrate your attention on quality construction, stability and durability. Planning ahead will help you choose the right carport plan for your property. Simple and traditional styling gives this detached, 3-car garage plan the ability to blend with a variety of architectural home styles. Carriage lamps accent the brick exterior and gable roofline adding a touch of charm. Two overhead garage doors open to the triple bay parking area delivering 708 square feet of unfinished space. Use all three bays to park the family cars or just store two cars and use the third bay for a workshop space or storage for seasonal items like the lawn mower, pool supplies and holiday decorations. 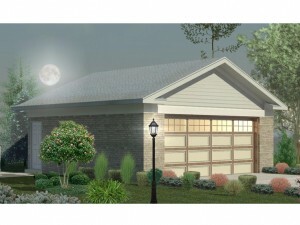 From parking and storage to a workshop, this 3-car garage plan is sure to accommodate a broad range of needs. It happens all the time. People who live in a house or own their own home get to a point where there just isn’t enough storage space for all their stuff. When the closets and garage are filled to capacity and the basement and attic are overflowing, it is time to take action. “What kind of action?” you ask. Build a backyard storage shed. There is a wide variety of shed plans available featuring various sizes, styles and rooflines. They work great for a multitude of storage needs, fit well in backyards and on small pieces of property, and keep your things dry, safe and secure. With a good set of shed plans and the right tools and materials, a storage shed can usually be built in just a couple of weekends. Furthermore, many of them feature an economical design that won’t break the bank. So what can a backyard storage shed do for you? These are just a few of the things you can do with storage shed plans. The Garage Plan Shop recommends building a shed plan in your backyard to add functionality to your home and property right away, not to mention storage space.